ZHUHAI BAIXIN MACHINERY CO.,LTD. (BAIXIN MACHINERY ) was established in 2006 .It is one of the biggest suppliers of solar PV module production line equipments in mianland China. BAIXIN MACHINERY's trade mark is BXM. Main products are:solar PV module laminator, solar simulator,solar PV module framing machine,auto solar cell tabber and stringer,solar glass washer,solar PV module EL tester,solar cell tester. (1)Oversea Department locates in ZHUHAI, which is about 70 minutes by ferry from HONGKONG AIRPORT. (2)JV PLANT for making solar PV module laminator,solar PV module framing machine, locates in QINHUANGDAO which is about 4 hours by airport bus from BEIJING AIRPORT. 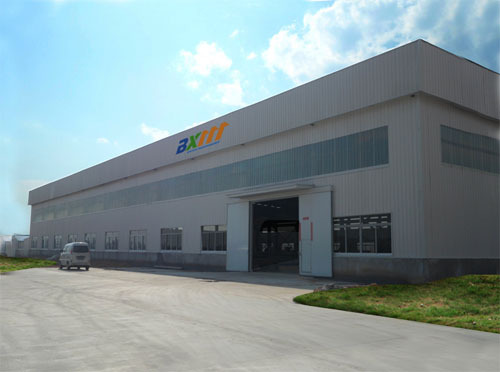 (3)Partner Plant 1 for making auto taber and stringer, locates in KUNSHAN which is about 2 hours by car from SHANGHAI PUDONG AIRPORT. (4)Partner Plant 2 for making sun simulator, locates in BEIJING, capital of China.